As a leader in Answerport’s Management Advisory Practice, Tom plays an integral role in developing and maintaining client relationships in our Supply Chain Management practice area. 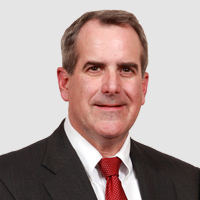 Tom has deep experience leading global IT and operational implementation projects and supply chain strategy and improvement initiatives for clients in a variety of consumer goods, healthcare and manufacturing environments. Prior to joining Answerport, Tom was a Director of Supply Chain Operations at Schreiber Foods, Inc. Prior consulting experience includes being a Management Consulting Principal/Senior Manager at Cap Gemini-Ernst & Young and a Manager, Audit Services at Price Waterhouse Coopers. Tom holds a Bachelors of Business Administration – Accounting from the University of Wisconsin – Milwaukee. Tom is also a Certified Public Accountant (CPA).